The University of New Brunswick is showcasing items today, Tuesday, May 16, 2017, that will soon be sealed in a time capsule to be opened in 50 years. 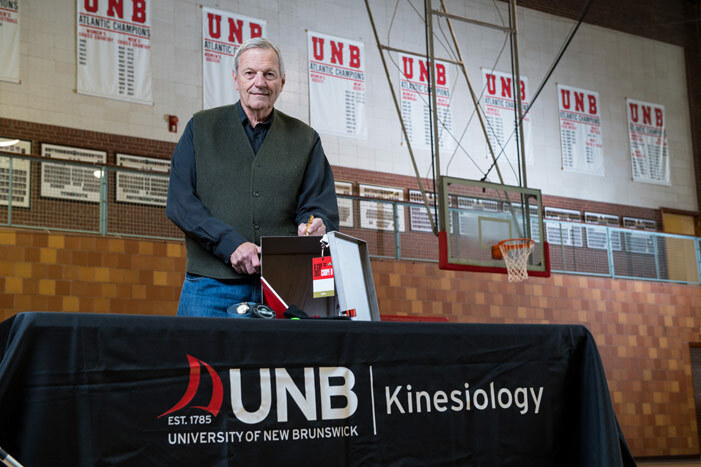 To celebrate the new kinesiology building project currently underway on UNB’s Fredericton campus and to commemorate the Lady Beaverbrook Gymnasium – home of UNB’s faculty of kinesiology for nearly 60 years – the university is placing a time capsule in the cornerstone of the new building this fall. Today from 9:30 a.m. to 11:30 a.m., members of the community are welcome to view the items that will be placed in the time capsule on display in the Lady Beaverbrook main gym. Examples of the dozens of items going into the time capsule include a hand-crafted pencil from a former kinesiology dean, a Fitbit, the UCard of UNB’s 2017 Student Union president, and a 3-D printed whistle created by engineering students. After today’s showing, the items will be sealed in the stainless-steel time capsule to be placed in the building this fall during UNB’s Homecoming Weekend. The capsule will be marked with a commemorative plaque indicating that it is to be reopened in 2067, Canada’s 200th birthday. For more information about UNB’s time capsule, e-mail timecapsule@unb.ca. Photo: Former UNB dean of kinesiology Dr. Terry Haggerty offered to hand-craft a pen from trees that were removed on the new kinesiology building’s construction site. The pen will be placed in UNB’s time capsule to be reopened in 50 years. Rob Blanchard / Photo UNB.